Disclaimer: The information provided here is for the convenience of IHLS members. IHLS does not provide grants or grant writing for members, nor does staff have any influence or authority over the grants and opportunities listed. For additional information, and to apply for a grant, please click here. Each year FTRF distributes grants to non-profit organizations to support activities that raise awareness of intellectual freedom and censorship issues during the annual Banned Books Weeks celebration (Sept. 22 - 28, 2019) Staff at all types of libraries, schools, universities, and community organizations are encouraged to apply. Grants are awarded at two levels, $1,000 and $2,500. To be eligible for a grant, organizations must not have been a recipient of an FTRF grant within the past five years. Grantees are encouraged to share their events on social media and with the press. A follow-up report detailing expenditures, numbers of participants, links to press coverage and a narrative of the event is due within six weeks of the Banned Books Week celebration. The purpose of the Health Sciences Library Project Award is to support health sciences librarians as conduits of information management, access, and delivery within their institution and/or outreach community. Hospital libraries, community college libraries, libraries supporting 2- and 4-year degrees in the health sciences and libraries at medical schools are encourage to apply. The NNLM Reading Club is a selection of “ready-to-use” fiction and nonfiction book titles along with free and downloadable materials designed to help libraries support health literacy and their communities’ health information needs by celebrating important National Health Observances through the fun and intimacy of a book club. Any United States library that is an organizational member of the National Network of Libraries of Medicine is eligible to apply and to receive one NNLM Reading Club Book Kit from November 1, 2018 through April 30, 2019. Due to the limited supply of federally-sponsored NNLM Reading Club Book Kits, libraries that support outreach to vulnerable populations and meet the NIH Underrepresented in Biomedical Research criteria receive priority status. For additional information, and to apply for the program, please click here. The Illinois School Library Media Association ​or I​​SLMA​ (now known as The Association of Illinois School Library Educators or AISLE)​ has established the Library Book Selection Service (LBSS) Endowment Fund after accepting the LBSS assets. Trustees of the LBSS Endowment Fund have set up grant opportunities for both public and private schools as well as public libraries participating in at least one of the Illinois Readers' Choice Award programs - the Monarch, Bluestem, Rebecca Caudill, or Abraham Lincoln Award. Those libraries interested may apply for a complete set of titles in one appropriate level. For additional information, and to register for a grant, please click here. The applicant must present a case for why it needs the funds, what type of equipment will be purchased, how the digital equipment will be available and used by the teens in the community, as well as how the library plans on leveraging the newly purchased equipment to engage and attract teens to the library. If awarded, funds must be used within 60 days of receiving payment. As a means to prepare teens for the tech-reliant jobs of the future, the Best Buy Foundation will provide funding to equitable, innovative, impact driven programs in eligible non-profit organizations committed to enhancing the lives of teens 13 – 18 years old through cutting edge technology enabled curricula. Programs should include hands-on learning opportunities that lead to skill development and engage the youth in experimenting and interacting with the latest technologies to close the digital skills gap. Our goal is to provide teens from under resourced communities with access to innovative technologies and help them stay engaged and become increasingly fluent in technological fields while developing skills to help better prepare them for future education and career success. As a measure of long-term success, we are looking to partner with non-profit organizations enabling youth to obtain industry recognized competency or credentials. Throughout its existence, the success of Union Pacific's business has been inextricably linked to the economic and community well being of cities and towns across the nation. We take pride in the role we have played in helping communities thrive, and believe the impact we can have on local communities is greatest when it is authentic to our history and the company we are today. As such, we have carefully aligned our Local Grants cause areas to our company's unique heritage, strengths, and assets. Specifically, we prioritize funding for direct services and efforts that build the capacity of organizations focused on the following causes within our local operating communities: Safety, workforce development, community spaces, local needs. Completed research papers ready for submission to a peer-reviewed journal, or currently under review. Big Lots Foundation funds support programs that will enhance the lives of children and families in the areas of hunger, housing, healthcare, and education. Priority will be given to programs serving women and children. Applicants must have a 501(c)3 public nonprofit status and be located in the United States near Big Lots stores or distribution centers. For more information and the online application, visit: https://www.biglots.com/corporate/community/support. The Humanities Collections and Reference Resources (HCRR) program supports projects that provide an essential underpinning for scholarship, education, and public programming in the humanities. Thousands of libraries, archives, museums, and historical organizations across the country maintain important collections of books and manuscripts, photographs, sound recordings and moving images, archaeological and ethnographic artifacts, art and material culture, and digital objects. Funding from this program strengthens efforts to extend the life of such materials and make their intellectual content widely accessible, often through the use of digital technology. Awards are also made to create various reference resources that facilitate use of cultural materials, from works that provide basic information quickly to tools that synthesize and codify knowledge of a subject for in-depth investigation. HCRR offers two kinds of awards: 1) for implementation and 2) for planning, assessment, and pilot efforts (HCRR Foundations awards). The Media Projects program supports documentary film, television, radio, and podcast projects that engage public audiences with humanities ideas in creative and appealing ways. All projects must be grounded in humanities scholarship in disciplines such as history, art history, film studies, literature, religious studies, philosophy, or anthropology. Projects must also demonstrate an approach that is thoughtful, balanced, and analytical. The approach to the subject matter must go beyond the mere presentation of factual information to explore its larger significance and stimulate reflection. NEH is a national funding agency, so the projects that we support must demonstrate the potential to attract a broad general audience. The 2019 grant cycle begins Feb. 15, 2019 and the application deadline to apply is Dec. 31, 2019. Application may be submitted at any time during this funding cycle. Please note that applications will only remain pending in our system for 90 days. Awarded grants range from $250 to $5,000. The National Digital Newspaper Program (NDNP) is a partnership between NEH and the Library of Congress to create a national digital resource of historically significant newspapers published between 1690 and 1963, from all the states and U.S. territories. This searchable database will be permanently maintained at the Library of Congress (LC) and will be freely accessible via the Internet. (See the Chronicling America: Historic American Newspapers website.) An accompanying national newspaper directory of bibliographic and holdings information on the website directs users to newspaper titles available in all types of formats. During the course of its partnership with NEH, LC will also digitize and contribute to the NDNP database a significant number of newspaper pages drawn from its own collections. Cultural institutions, including libraries, archives, museums, and historical organizations, face an enormous challenge: to preserve humanities collections that facilitate research, strengthen teaching, and provide opportunities for life-long learning. To ensure the preservation of books and manuscripts, photographs, sound recordings and moving images, archaeological and ethnographic artifacts, art, and historical objects, cultural institutions must implement measures that slow deterioration and prevent catastrophic loss from emergencies resulting from natural or human activity. They can accomplish this work most effectively through preventive conservation. Preventive conservation encompasses managing relative humidity, temperature, light, and pollutants in collection spaces; providing protective storage enclosures and systems for collections; and safeguarding collections from theft, fire, floods, and other disasters. As your headquarters for Simply Smarter Shopping, we’re all about extending our ‘simply smarter’ philosophy to local communities. That’s why we established the ALDI Smart Kids Program, which provides funding and gift cards to organizations that promote kids being active and healthy. Being a smart grocer goes beyond the groceries – we’re passionate about making a positive impact in our communities. So whether your mission is to support kids through education, arts, athletics or any other program that inspires them to be active and healthy, we say kudos to you and encourage you to apply for support from the ALDI Smart Kids program. Thanks for your interest in Amazon! We’re thrilled to support many different 501(c)(3) organizations and schools in communities where our employees live and work. With the number of worthy requests received, we do not accept unsolicited donations requests. However, if you would like to share your work with us please email donationrequests@amazon.com and we’ll get back to you within 10 business days if we’re able to support your organization. Thank you for considering Amazon as a supporter, and we appreciate your commitment to making an impact in our community. Amazon donates 0.5% of the price of eligible AmazonSmile purchases to the charitable organizations selected by our customers. For additional information, and to register for the program, follow this link. From the Banterra website: At Banterra, we understand the importance of service and taking care of our community. That's probably because we understand that our business is about relationships, meeting customers needs, and doing what we can to improve our neighborhoods. While limited, we can often help with sponsorships, donations or volunteers for charity and community events. If interested, fill out a sponsorship or donation form and return it to your local branch for consideration. To find the mentioned form, click here, scroll to the bottom of the page, and click on "donation". For additional information, and to apply online, please click here. Costco's giving is focused on Children, Education and Health and Human Services. Their grants are generally program or event based. Applicants must be IRS 501(c)(3) non profit organizations in the markets where they do business. Most friends or library foundations with 501c3 status would qualify, but not individual schools or government-run libraries. The Distribution to Underserved Communities Library Program (D.U.C.) distributes books on contemporary art and culture to public schools, libraries, prisons, and alternative education centers nationwide, free of charge. D.U.C. books create access to the arts and literacy these institutions could not otherwise afford to acquire. To date, the D.U.C. has placed over 459,555 free books in 8,139 public institutions across the country. For additional information, and to apply, please click here. Kars4Kids Small Grants Program makes grants available for furthering children’s and young adults’ welfare and education. Kars4Kids encourages continued education and welfare outside of the school setting, enriching the education of future citizens and leaders of the community. They provide grants for libraries, after-school programs, mentoring, tutoring, exercise programs, weekend programming, storytime, combating bullying, and more. Grants are available in amounts from $500-$2000. For libraries that have access to 501(c)3 status, if you plan an event (such as your Summer Reading program), and your local Kohls store is able to send five of their associates to volunteer at the event, your library will get help with conducting the event, AND a $500 check from Kohls! More information can be found at http://aia.kohls.com. To schedule an event, contact your local Kohls store. The Library of Congress has available at all times, for donation to eligible organizations and institutions, surplus books which are not needed for the Library's own uses. For additional information, and to learn how your library can take advantage of this opportunity, click here. Lockheed Martin is committed to a program of philanthropy that supports the Corporation’s strategic business goals, primarily in the focus areas of science, technology, engineering and mathematics (STEM) education and military and veteran causes. "The small grants program is an outlet for organizations seeking smaller-scale assistance for non-educational focused projects. These grants range from $100 to $2,000. 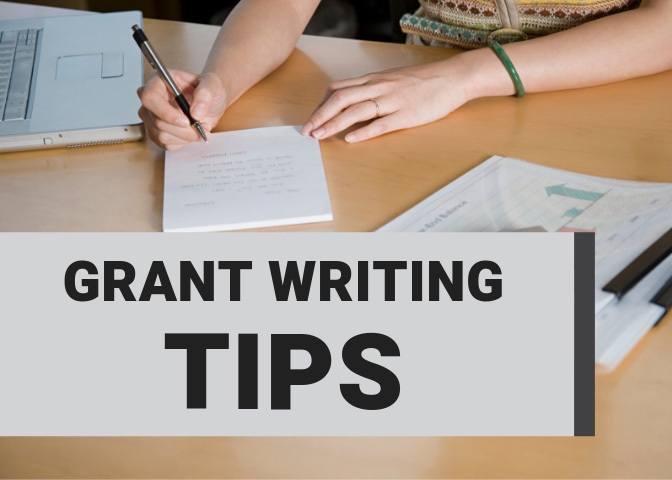 Small grant project requests must also fit within the Giving Guidelines. These requests are received on a rolling basis, with no specific cycle dates. Please note that grant funds are distributed as Lowe’s gift cards. For questions contact community@lowes.com or visit our FAQ’s." To advance the progress of medicine and improve the public health by providing all U.S. health professionals with equal access to biomedical information; and improving the public's access to information to enable them to make informed decisions about their health. The Program is coordinated by the National Library of Medicine and carried out through a nationwide network of health science libraries and information centers. Prairie Farms donates funds to charitable organizations through their Our Caps, Your Cause program. Charitable organizations--like libraries--can register for the program, and then encourage their patrons to go the Prairie Farms website to enter the code found on the milk cap. For additional information, check out the Prairie Farms website. The mission of the Pilcrow Foundation is to provide new, quality, hardcover children’s books to rural public libraries across the United States. The Foundation's Children’s Book Project grants support libraries located in a rural area within the 50 United States that have a limited operating budget and an active children’s department. Through the program, a library's local sponsors can contribute from $200 to $400, which the Foundation matches on a 2-to-1 ratio. Thus, a library can receive up to $1,200 worth of new, quality, hardcover children's books. The Foundation provides a list of over 500 quality hardcover children’s books from which Children’s Book Project grant recipients can select books best suited for their community. The book list includes award-winning and star-reviewed titles from educational and literary organizations. The Foundation accepts applications from independent rural public libraries and Native American Tribal libraries as well as libraries that are part of a county, regional, or cooperative system. A branch library may apply if it serves a rural community. Applications are accepted from school libraries only if they also serve as the community’s public library. The Foundation does not offer grants to libraries outside of the 50 United States, libraries in urban or metropolitan areas, or libraries with substantial operating budgets. Note: The Foundation also offers a limited number of special non-matching grants to libraries serving rural communities in the United States affected by recent tornadoes, hurricanes, flooding, or other natural disasters. Libraries can select $800 worth of new, quality, hardcover children’s books from the Foundation’s booklist. Locally sponsored matching funds are not required for the disaster relief grants. The Lisa Libraries donates new children's books and small libraries to organizations that work with kids in poor and under-served areas. "This program provides affordable funding to develop essential community facilities in rural areas. An essential community facility is defined as a facility that provides an essential service to the local community for the orderly development of the community in a primarily rural area, and does not include private, commercial or business undertakings." For additional information, click here. For additional information about the W. K. Kellogg Foundation, what types of programs it supports, and how to apply for a grant, click here. Supporting adult and family literacy in the United States by fostering and promoting the development and expansion of new and existing literacy and educational programs. For additional information, and to apply for funding, please click here.